Looking for the best Taekwondo Classes in Shrewsbury? Look no further than Imperial Martial Arts, where our highly skilled staff of instructors will teach you how to become a better athlete and improve your Martial Arts skills in just a few classes. Learn how to use your feet and fists as the most efficient self-defense tools you've seen. Plus, take on a total-body workout that will help you burn hundreds of calories in an hour while building lean, powerful muscle. 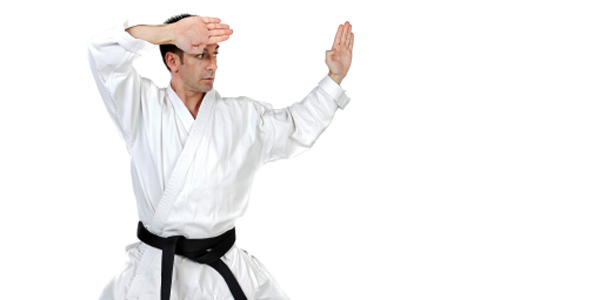 Taekwondo is different from other martial arts in many ways. First, there’s no need for handheld weapons. Instead, your hands are your weapons! At Imperial Martial Arts, you’ll learn how to deliver bone-crushing blows with open hand strikes and punches! Plus, you’ll discover how to use your leg’s longer reach and power to take down an opponent in the blink of an eye with debilitating kicks like the tornado kick and jumping reverse hook! BUT, becoming the ultimate fighter is just one of the many benefits you’ll gain when you take Taekwondo classes at Imperial Martial Arts in Shrewsbury. When you take Taekwondo classes at Imperial Martial Arts, you’ll be working with some of the finest instructors in the United States, including 7th-degree black belts and instructors with more than four decades of experience! At Imperial Martial Arts, we love what we do, and we guarantee you, too, will love what we can do for you! Plus, we have one of the lowest student/teacher ratios in all of New Jersey, so you’ll enjoy the individual attention you deserve. With karate classes and many other martial arts classes, you’ll reach your full potential once you’ve mastered all the moves. But with Taekwondo lessons at Imperial Martial Arts, we’ll take you well beyond a mastery of the moves. That’s because with each new class, you’ll strengthen your mind with unique exercises that reinforce your self-confidence, improve your communication skills and bring clarity to your life. 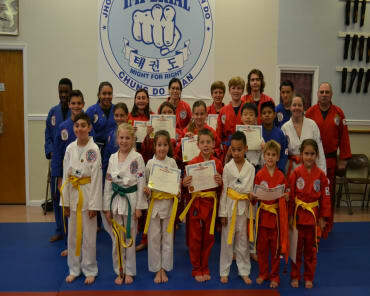 GET YOUR START IN TAEKWONDO FOR FREE! We're so confident that our Taekwondo Classes will be the best Karate classes you'll find in Shrewsbury, that we're willing to let you experience your first class with us, absolutely free! Give us an hour of your time, and we'll give you a free introduction! But hurry, this special offer is only available for a limited time. We offer a broad selection of class times to accommodate your busy schedule. Take advantage of our FREE trial class offer by completing the no-obligation contact form right here on this page.